Well done Polydor! You’ve excelled yourselves. Your exploitation has plumbed new depths. A compilation of the previous compilations, but stretched across 2 discs, so it must be value for money right? Wrong. 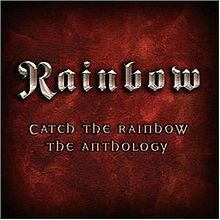 Nothing new, all previously available (don’t forget every Rainbow album has been available on CD for years by now, AND re-released as ‘remastered’ editions!) Give me strength.